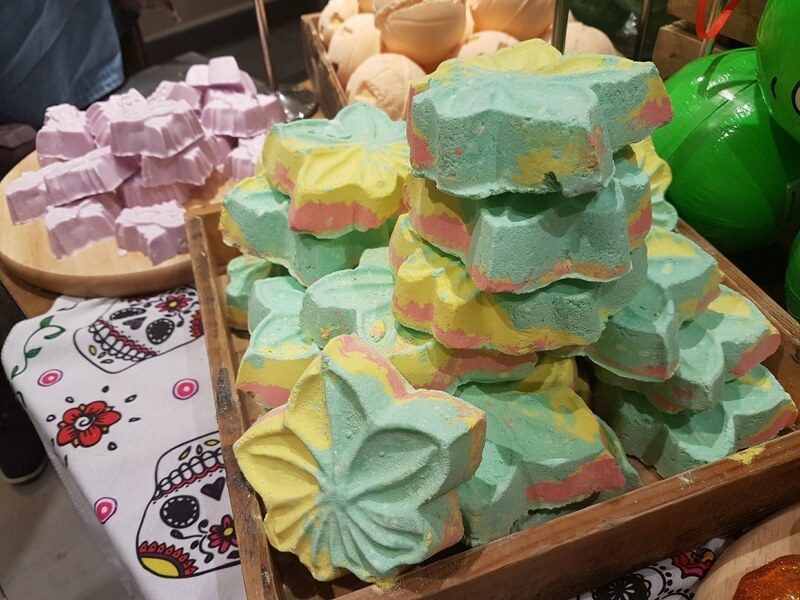 I can not get enough of Lush products, so when I found out they were having a blogger event I was super excited and couldn’t wait to see the Lush Halloween products! The store was closed for the event so only people who had been invited were allowed in. I was looking forward to seeing the products that are available for Halloween. When we arrived we were handed a goody bag that contained lots of empty pots for us to fill up as when went around the store. I thought this was a really good idea as it meant you got to get samples of the products you wanted to try. 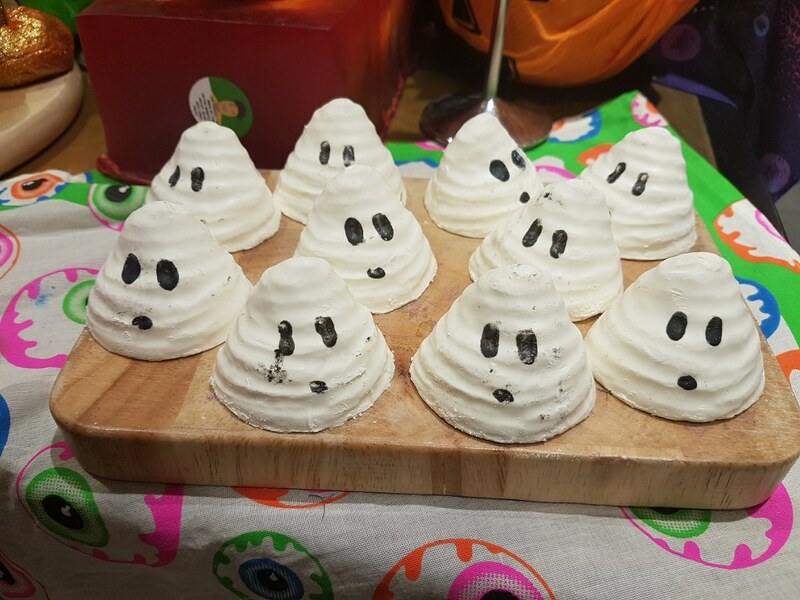 There was also a bubble bar in the goody bag from the Lush Halloween range. 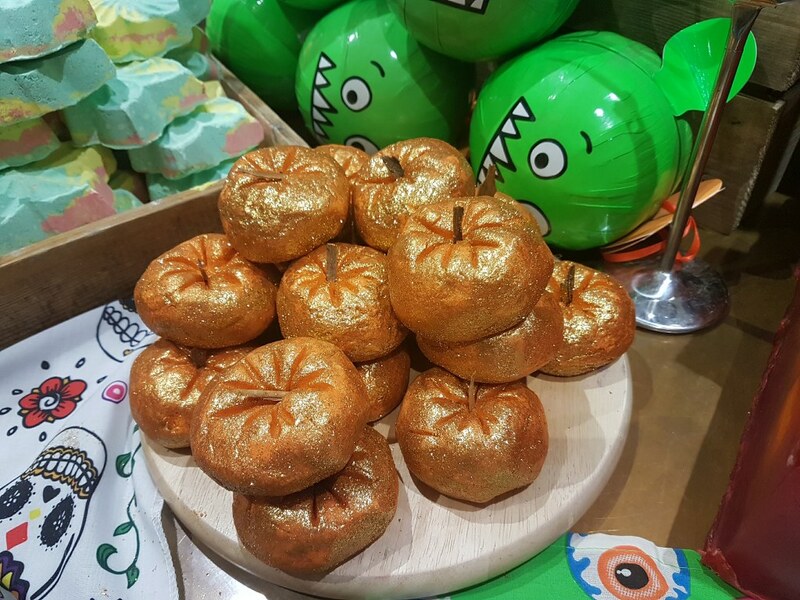 It was a sparkly pumpkin bubble bar, oh the sparkle!! It looks amazing and I really can’t wait to try it out. I go on holiday soon, so I may use it when I return as I think the sparkle will make my tan look a sparkly goddess! We were also given a tour around the Spa which I have never visited. It is styled like an English Cottage and it is absolutely gorgeous. I would love to have a treatment here if I could ever afford it! haha, maybe someone may buy me a gift voucher one day! I can always dream. 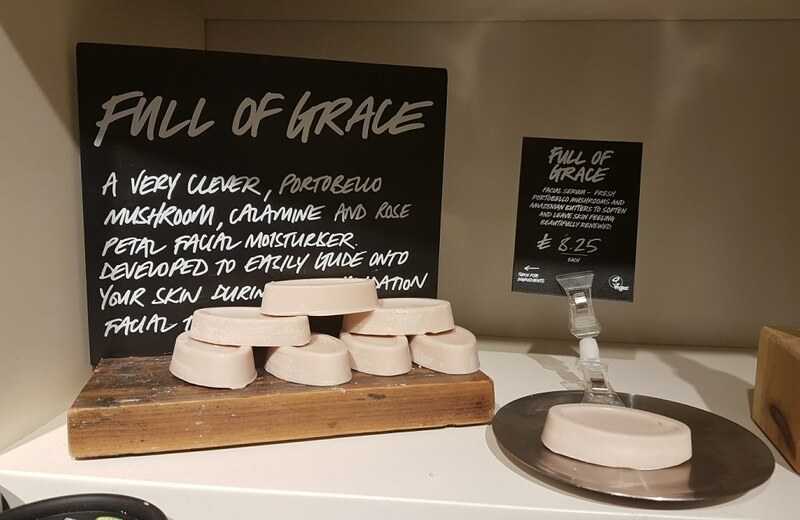 The staff then talked us through the facials they offer at the Spa and we were given a ‘Full of Grace’ bar to try and keep. This is a facial moisturiser in the form of a bar. It slowly melts in your hands and then you apply it to your face. If can also be used underneath a facemask to really help it get absorbed into your skin, which I think is a fantastic idea and I will definitely be trying this out. We then got to walk around the store and fill up our little pots with samples of whatever we wanted to try. I probably went mainly for the face masks as I love a good face mask and I haven’t actually tried that many from Lush. At each of the stations, there was a staff member explaining the products and what they are good for. I found this really interesting and they showed you what products would be best for your particular skin type. This also helped when picking what samples to try as well. 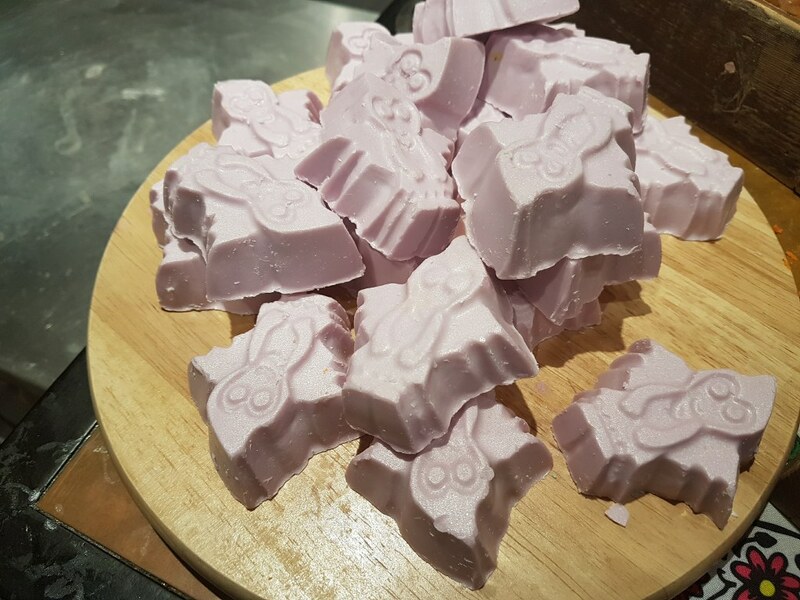 One of my favourite parts of the event was we got to make our own bubble bars, and it was ‘The Comforter’ one we got to make, which is my favourite one! The one I made was pretty large, so it will definitely last me a while as well! 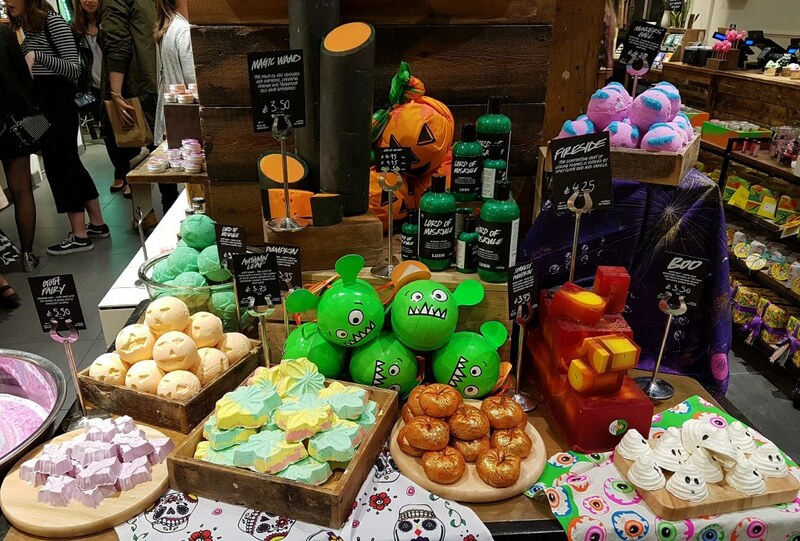 I loved the event and picked up some of the products from the Halloween range. 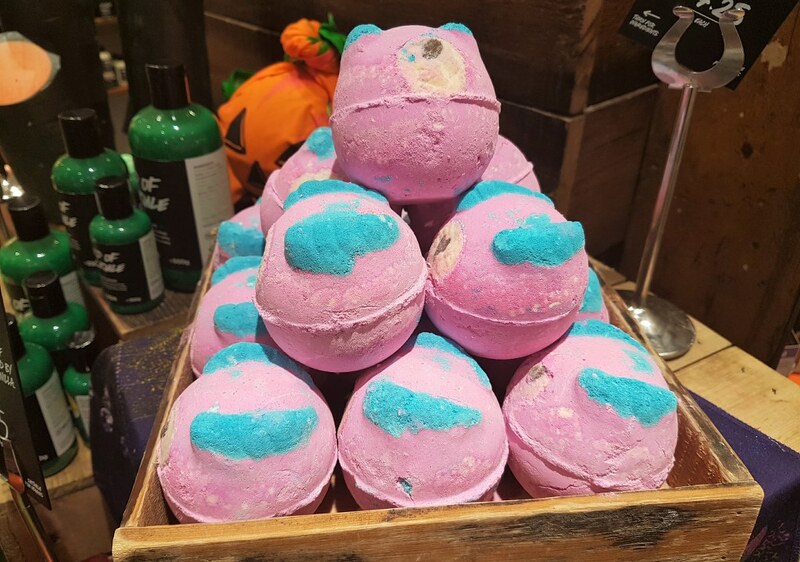 I am looking forward to trying out the ‘Monsters Ball’ bath bomb. 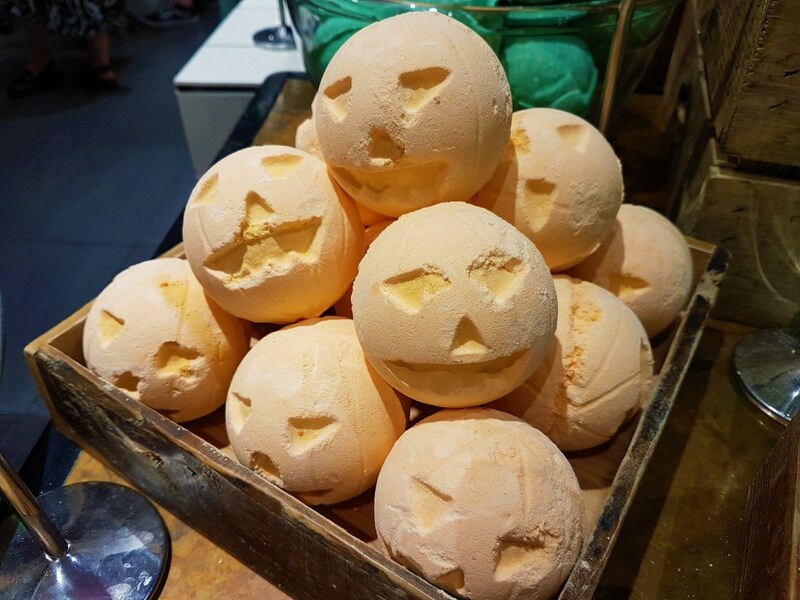 What has been your favourite product this year from the Halloween range? 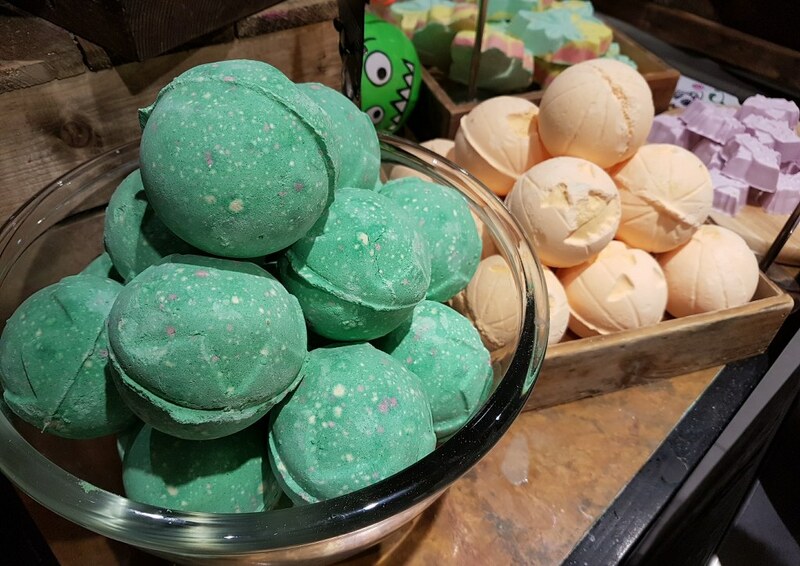 Let me know what your favourite Lush product is below in the comments.